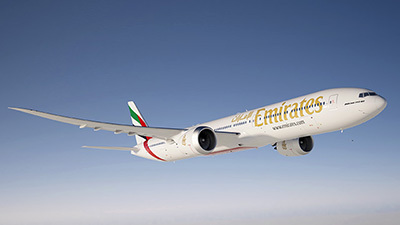 Dubai-based carrier Emirates considers the possibility of scrapping flights to African airports as the continent’s economies are shaken by decreased oil prices. On the 18th of October, during an IATA conference, Tim Clark, President of Emirates, said that the company is likely to “cut frequencies and possibly even cities”. “Certain African countries have seen their currency really go down, it’s not a very good idea to continue there”, Clark added. One of the main destinations of the continent, Nigeria, is reported to be $680 million in debt to Emirates. Other carriers, such as Iberia and United Airlines, have already stopped servicing Nigeria-bound routes. Retrieving dollars from the country is limited due to a drop in oil prices. IATA has also commented on the limited possibilities of repatriating dollars from such countries as Angola, Egypt and Sudan. Emirates operates flights to all risk countries, but the company’s CEO did not clarify which routes are most likely to be scrapped.